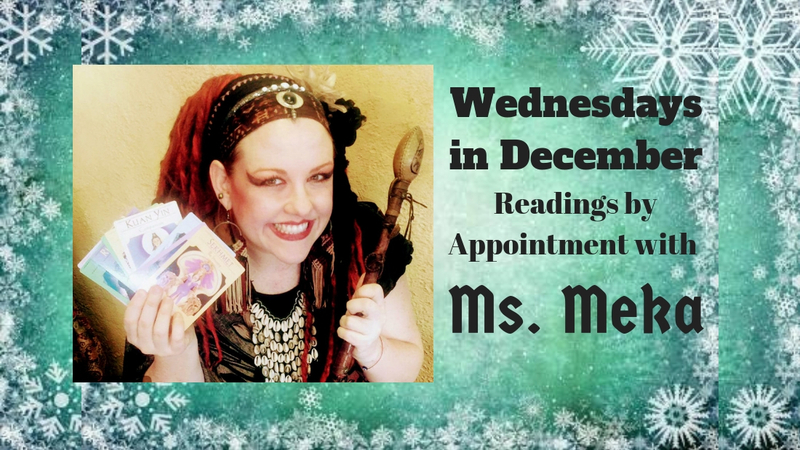 Ms. Meka is a vivacious and compassionate energy worker and spiritual coach who uses tarot and oracle cards to uncover deeper answers to the riddles of life. She has studied sound healing, dance trace work, Reiki, and Shamanism in the Peruvian, Siberian, Japanese, Brazilian, and Celtic traditions. Her mission is to remember and remind fellow beings of their greatest potential, natural healing abilities, and superpowers of manifestation and the courage to create happiness and love. $50 for 30 minutes. $90 for 60 minutes. Get the latest on events and sales directly to your inbox by signing up to our newsletter!